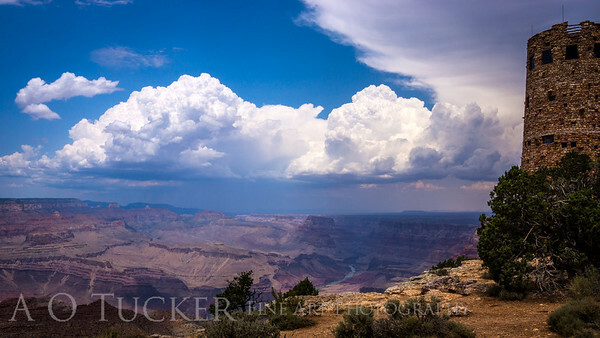 This scene of the Grand Canyon and the Watchtower is from Desert View. The Watchtower, a National Historic Landmark was constructed in 1932. Mary Jane Colter was the Architect.